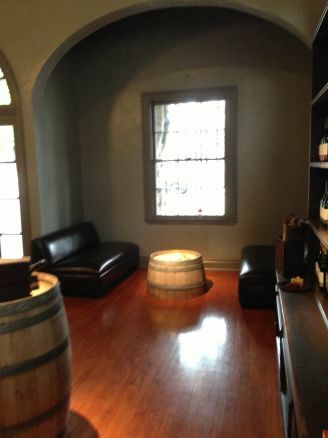 V is a wine tasting room conceived to be a vehicle for underrepresented or unrepresented winemakers to introduce their boutique wines to the Southern California market. 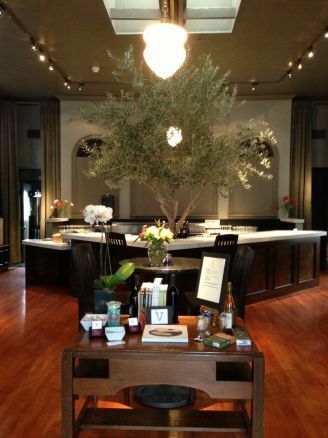 V is designed to be seen as a wine merchant and a tasting room during the day, and in the late afternoon it becomes more of a wine bar and local hangout. 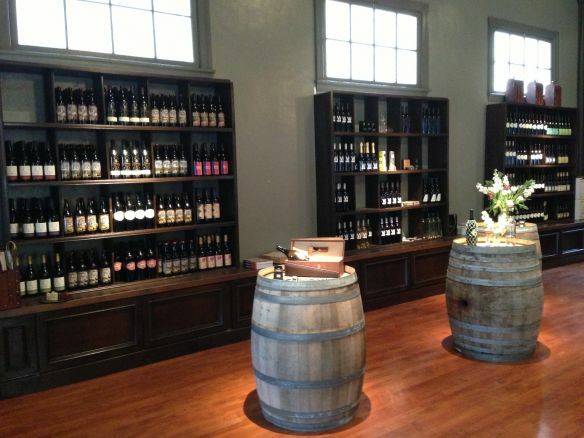 V Wine Room only serves boutique California wines and handcrafted beers that cannot be purchased anywhere else in the LA area. 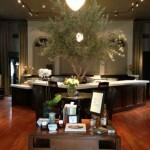 The theme is a 1930’s library, as the space was the first library for West Hollywood from 1929 – 1941. 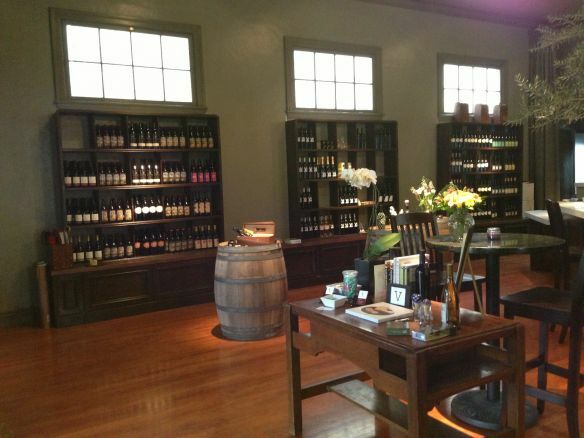 Towering bookcases are used for wine and merchandise storage as well as a card catalog system (think the dewy decimal system for wine), which guides guests to find the appropriate wine for purchase. Laid back music and a casual quiet library setting appeals to those people looking for an alternative to a loud bar. Lite bites of food are served to compliment the wine and encourage people to linger and enjoy the space. The main room of V is just under 1000 square feet. 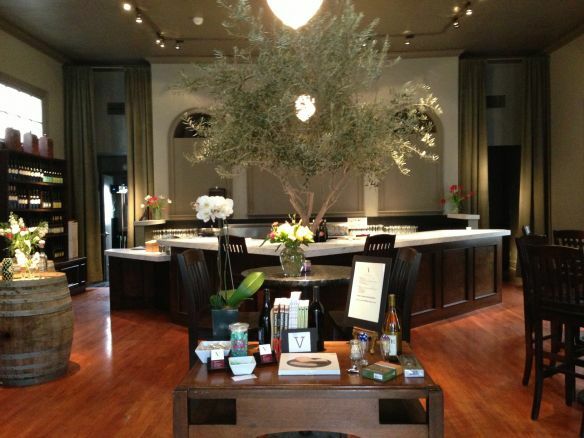 Amenities include a sound system, full service bar, refrigeration, and large restrooms with an intriguing look. 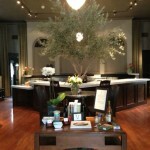 The key feature in the room is a marble bar in a V shape with a live olive tree growing out of the center. 1920’s architecture with dominating arches provide visual intrigue to the space. The bathrooms feature wallpaper that looks like library shelves full of books. Original wood floors, large bookcases and specialty lighting evoke the old library feel. 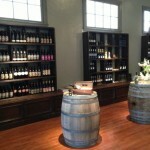 Wine casks and an abundance of visible wine storage bring in the winery feel. 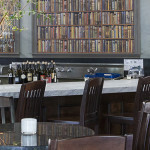 The bar stools look like library chairs to round out the visual cues. The building is 100% ADA compliant. 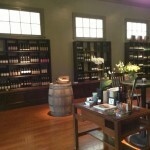 It is a 1-story space with no stairs with a wide front door (42″) allowing bulky objects easy entrance. Metered street parking is available immediately in front of the building on Westbourne and around the corner on Santa Monica Blvd. 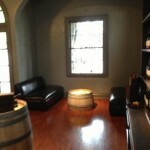 V Wine Room offers catering of light bites, but also works with a catering company for full meals.